While you read the latest Algiere’s blog, Ben is in your backyard, putting in your brand new patio. Michelle has just stopped by to drop off his lunch and hand you an invoice. Before she leaves, she tells you that Jenn is taking pictures of a new flower bed Algiere’s just installed at the local high school. It makes you wonder, just who is writing these great posts? Well, wonder no more. 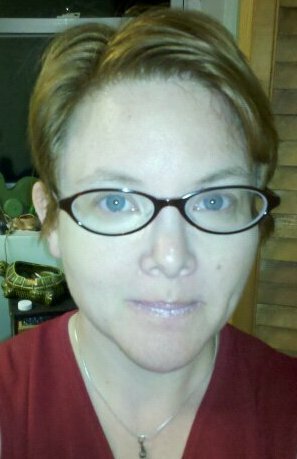 Helen R. Peterson, poet, author, and professional blogger, has been a friend of Michelle’s since college. They met in a poetry class at Eastern, and as the two oldest students in the class, immediately bonded. Eight years later, Michelle travels with Helen and handles the sales of her new book, Melons and Memory, and Helen writes the Algiere’s Landscaping blog for Michelle. In addition to the Algiere’s blog, Helen writes a weekly blog to support her writing career, (http://mspetersonexplains.wordpress.com/ ) and one to promote her Etsy shop, Vintagepoetic (http://vintagepoetic.wordpress.com/ ). She’s currently working on her second book of poetry as well as her first novel. Algiere’s Landscaping is devoted to promoting local creative and talented people on their staff, like Helen and Jenn. If you like the work we do here on the blog and on the Facebook page, take a look at what we do in our spare time. Thank you! This entry was posted in Uncategorized and tagged author, Blog, blogging. bloggers, Etsy, Facebook, FAQs Help and Tutorials, Helen, how to, plants, Publishers, Tools, WordPress, writer, writing on August 9, 2012 by mspetersonexplains.